It was with no small sense of vindication that Secretary of State William Jennings Bryan signed the proclamation of 31 May 1913, declaring the Seventeenth Amendment duly ratified and incorporated into the fundamental laws of the United States. More than twenty years earlier as a Nebraska congressman, “The Great Commoner” had joined the struggle to free the Senate from the control of corrupt state legislatures, and despite three failed campaigns for the presidency, he never wavered in his determination to make the Senate a popularly elected body. Now, after the most protracted political battle in that usually bloodless revolution historians refer to as the Progressive Era, Secretary Bryan put his seal upon the reform that, in the expectations of those who had labored for it, would end the dominance of party “bosses” and the state “machines,” stamp out the undue influence of special interests in the Senate, make it more responsive to the will of the people, and of course, eliminate, or greatly reduce, the execrable practice of spending large sums of money to get elected. As we shall see, even while the amendment was still being considered by the American public, there were ample reasons to doubt its effectiveness and to question the credulity, if not the integrity, of those who proposed it. But more than eight decades after the amendment, the current condition of Senate elections and Senate politics makes the sanguine predictions of 1913 look wholly naive. Progressive Era reformers scandalized by the rare campaign expenditure of a hundred thousand dollars might be shocked senseless to learn that by the 1990s the average cost of a Senate seat would be well over five million dollars, that a candidate would not even approach the threshold of scandal until he had spent fifteen or twenty million dollars. If there was once cause for concern in the muckraking stories of industrial tycoons and railroad barons buying Senate influence through contributions to the state legislators, then the largess of lobbyists and activists that is today handed openly and directly to Senate candidates (overwhelmingly in favor of incumbents) should be a cause for outright alarm. And if in 1913 the old-time brokers of Senate elections were cleared from their smoke-filled rooms, the current regime of media consultants, professional pollsters, mass-market specialists, and “constituent-minded” software is hardly the victory over political cynicism that Bryan and the Progressives had envisioned. Of course, the same criticisms have been directed with increasing intensity against the House of Representatives, which, unlike the Senate, has never undergone a fundamental alteration in the manner of its elections. Perhaps, then, the amendment is not the sole or even the primary cause of the Senate’s decline. Or perhaps its consequences have actually extended to both houses of Congress. What can be asserted confidently is that the amendment did not redress the grievances of Progressive reformers. Viewing such a miscarriage against the backdrop of present political discontent, one might conclude that the chief shortcoming of Progressivism was that it did not go far enough in establishing what was often referred to in the early twentieth century as “The People’s Rule.” Whatever gains were made by the direct election of senators and similar reforms of the era, such as local and state recall elections, party primaries, and direct legislation in the form of statewide initiatives and referenda, they have not quieted the protests against the average American’s perceived loss of control over the political system. Indeed, judging from the rhetoric of the talk shows and campaigning politicians, the prevailing sentiment has changed very little since the Seventeenth Amendment. The contention that power must be dislodged from “the interests” and restored to “the people” is asserted as strongly today as it was in the time of Robert La Follette and Woodrow Wilson. Reformers of the twentieth century—whether the Progressives and their New Deal-Great Society successors seeking to rein in the might of sinister economic forces, or the contemporary champions of free markets and deregulation taking up the fight against big government and oppressive bureaucracy—typically have been populists at heart, inspired to play the role of Leading The People in revolt against the system. The economic skirmishes between the regulatory liberalism of the past and the laissez-faire liberalism resuscitated from an earlier past belie a fundamental continuity of American political reform. Whether the menace of the hour is perceived to be socialism or capitalism, blame is not affixed merely to the errors and excesses of policy, but ultimately extends to the very political order that has permitted or promoted them. The difficulties, complications, and setbacks of governing a diverse and populous continent typically have been ascribed to representative institutions that thwart the will of the people. Amelioration is therefore seen as a simple matter of circumscribing the authority of representatives and of establishing means of expressing the popular desires more clearly and enacting them more promptly. 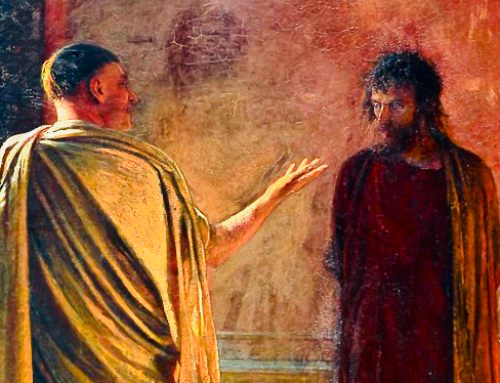 In this sense, today’s neoconservative advocate of constitutionally mandated term limits and balanced budgets is, with regard to the animating principle of reform, the spiritual heir of the Progressive who prevailed in transferring the choice of senators from state legislatures to the people. The predilection for revoking representative authority and replacing it with more direct means of popular expression might not seem obvious from a cursory glance at the Constitution, which has seen relatively few amendments in the two centuries of its existence. But behind the document’s seemingly tranquil history, hundreds of proposals have been made to create more plebiscitary law-making methods, restrict the deliberations of House and Senate, and guarantee rule according to the momentary wishes of the majority in the fundamental law. The Constitution has withstood most such assaults only because of the founders’ sagacity in making change difficult, although this feature, too, has often come under the attack of ambitious populists. State constitutions, on the other hand, have proven not nearly as resistant. Subject to alterations at the hands of anonymous pluralities of voters in statewide referenda, expanding by process of accretion into detailed delineations of rules and regulations that make them practically indistinguishable from ordinary codes of statutes, the constitutions of the states more accurately depict America’s long-standing distrust of representative bodies. At the federal level, the Seventeenth Amendment is unique for having been the first and, to date, the only successful incursion of populist reformers against the representative structure instituted by the founding fathers. Of course, encroachments on the established processes have continued in other, more subtle, ways, such as in the increasing reliance on popular-opinion polls in determining the course of national policy, or the tremendous power of the mass media to influence the deliberations, and even the agenda, of Congress. While such changes have come about by circumstance and usage rather than design, they undoubtedly have debilitated the capacity of elected delegates to be representative in the sense that Edmund Burke used the term in his famous admonition to the Electors of Bristol, that is, in refusing to bow to unwarranted pressures from individual citizens and interest groups who are outside the constituted processes. But the constitutional change that divested state legislators of the power to represent their constituents in the election of U.S. senators, and that invested that power in mass statewide electorates, stands alone for having been deliberate. In fact, it is the only plebiscitarian subversion of the federal system to have been accomplished through the formal representative process itself. In direct contradiction to the reformers’ contention that the Senate, elected by the legislatures, was too unresponsive and too corrupted and that it would never yield to the demands of the people until placed directly under their control, two-thirds of the Senate and three-fourths of the legislatures concurred in a constitutional revision alleged to be against their political self-interest. The very adoption of the amendment would seem to call into question its necessity. Furthermore, considering not only that the Senate itself endorsed the amendment but that all of the legislatively elected incumbents renominated for Senate seats went on to win in the popular elections of 1914, it is difficult to determine precisely which of the “special interests” had been defeated by its ratification. Add to these considerations the utter failure to remove the influence of money and the fact that the much-maligned electioneering machines appear not so much to have been overthrown as to have adapted their tactics, and it is not merely the necessity of the amendment that is called into question, but the validity of the assumptions on which it was advanced. Again, the Seventeenth Amendment is singularly momentous for having carried to the federal level the ongoing struggle for direct democracy. Having undergone the prescribed process of ratification, and having been the subject of editorial controversy for an entire generation, it offers ample opportunities for examining that popular distrust of representative government that has chaffed against the institutions of the founders since the beginning of the republic. Yet all of these arguments ignore or at least slight the real motives for placing the Senate beyond the direct popular reach in the first place. No one in the Philadelphia convention of 1787 assumed that the federal framework they created would suffice for all time without alteration, but their idea of a good constitution was one based on fundamental principles of government that, if properly derived and applied, transcended the shifting exigencies of everyday politics. It would thus have been incumbent upon reformers to prove in what way the economic and social changes of the post-Civil War era had rendered obsolescent the original representative arrangement, to trace the manner by which that arrangement had given rise to the corrupting influence of money and machine politics, and, in what surely would have been their biggest burden of proof, to show why the founders would have considered a more populist, more “responsive” government—even if technologically feasible—a desirable alternative to the structure they created. The fact most Progressives failed to acknowledge or to come to terms with was that the underlying premise of direct Senate elections, and of the direct democracy movement in general, was the complete antithesis of the founding idea of government. Having in the short span of eleven years experienced the violent swing of the political pendulum from abusive monarchy to abusive majoritarianism, and in the process discovered that life, liberty, and property were no more secure under the latter than they had been under the former, the Constitution’s framers saw the will of the people as a force to be restrained and refined, not unleashed and encouraged. Unseduced by the egalitarian speculations of Jean-Jacques Rousseau and Thomas Paine, they knew first hand that the simplicity of one man, one vote did not of itself engender a greater harmony of interests. 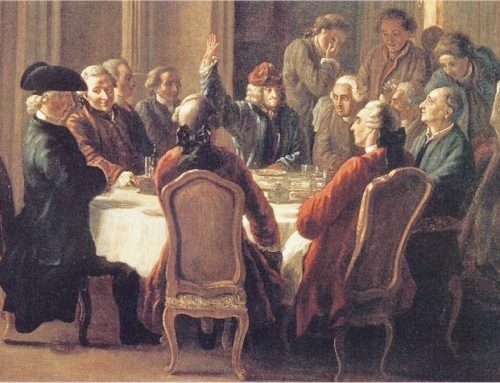 “Theoretic politicians,” James Madison observed, “have erroneously supposed that by reducing mankind to a perfect equality in their political rights, they would, at the same time, be perfectly equalized and assimilated in their possessions, their opinions, and their passions.” On the contrary, liberty brought about a diversity of interests, which in turn brought conflict. Hence, faction, rather than originating in the inequalities of the social order, was “sewn in the nature of man” and could not be removed. The putative existence of a wide chasm separating “the interests,” on the one side, and “the people,” on the other—which provided the rationale for unceasing agitation by subsequent generations of reformers—turns out to have been a fiction of the Enlightenment. The result of the framers’ deliberations was a tripartite division of political power among representatives chosen directly by the people, senators chosen by state legislatures, and a chief executive chosen by a temporary college of electors selected specifically for that purpose, either directly by the legislatures or in the manner they prescribed. Thus, while all political power ultimately derived from the people, each branch answered in an immediate way to an essentially different constituency from that of the others, and was thus considered less liable to fall victim to the same errors, the same impulses, or the same corrupting influences. By giving each department a “will of its own” with “as little agency as possible in the appointment of the members of the others,” the Constitution fragmented the power of the majority, deliberately supplying “opposite and rival interests” as a more reliable guarantee of individual freedom and minority rights than could reasonably be expected from merely relying on the good will of the superior number of citizens. Stability, balance, restraint—there was not a word about responsiveness. The Senate’s manner of election was intended to secure the desired stability in a number of ways. First, it would help allay the jealousies of Anti-Federalists, inasmuch as it continued a familiar vestige of the old Confederation. The “sovereign” states would continue to send their ambassadors to Congress. The founders expected senators to play a more independent and representative role than congressional delegates under the Articles, but retaining the previous form of election would assure suspicious localists that the states would have a check on any consolidating tendencies of the national government. Here it is worth pausing to take up the Progressive assertion that the necessity of intermediaries had passed away with the modern improvements in communications and transportation technology. By the early twentieth century, the area over which information could be directly transmitted, and over which in turn the public could directly register its response, would be virtually nationwide. Progressive democracy meant the annulment of representative institutions wherever direct expression could be substituted. Carried to its ultimate conclusion, this logic presaged a single, mass assembly of the people, if and when it ever became technically feasible. The bizarre suggestion occasionally heard about doing away with Congress and establishing direct popular rule via the Internet, a fantasy more or less advocated in the presidential candidacy of H. Ross Perot, is the natural end of Progressive thinking. Conquering the country’s geographical challenges, on the other hand, did not automatically result in a greater harmony of interests. The information that mass communications technology could disseminate, and the popular opinions it was to return, were as much as ever the object of partisan struggle. In perhaps the most familiar passage of The Federalist, James Madison argued that it was precisely the extended sphere of the republic which minimized the possibility that “a majority of the whole will have a common motive to invade the rights of other citizens, or if such a common motive exists, it will be more difficult for all who feel it to discover their own strength, and to act in unison.” If, as turn of the century reformers believed, simple popular rule was becoming scientifically possible, the Federalist line of reasoning pointed to the necessity of preventing it. After all, the democracy of ancient Athens, in which the entire body of citizens could assemble and pass laws, was not the founders’ ideal of government, but rather was derided for having decreed “to the same citizens the hemlock on one day and statues on the next.”  The advantages of smallness lost to the extensive republic would, if anything, have to be compensated for with stronger checks against direct democracy. There was all the more reason to retain rather than abandon the idea of a representative body with a secure hold on office and a sufficient degree of distance from popular tumult. Aside from contravening the founders’ purposes by removing the representative intermediaries between the people and the Senate, it is highly doubtful that the people were actually given greater control over Senate elections. Instead of selecting a trustworthy delegate from among his neighbors to negotiate the choice of senators on his behalf, the individual voter was now asked to rely on the second- and third-hand accounts of newspapers. At best, his first-hand knowledge of Senate candidates was usually limited to what he heard on the stump or in the rhetoric of debate. Because no state consisted of a single interest, and no candidate wished to alienate the particular audience whose attention he had momentarily been granted, the substance of such engagements would naturally tend either toward telling each group what the candidate thought it wanted to hear, or toward speaking in terms so broad and patriotic as to mean all things to all people. In sum, the framers’ reasons for instituting the legislative election of senators, aside from the political necessity of calming the fears of the states’ rights camp, was essentially two-fold. First, it would promote the best statesmen to office by keeping the selection process at the level of personal acquaintance and accountability. More than any other agent in the federal scheme, a state legislator could know the mind of his constituents, and vice-versa. Likewise, as one of a few-score delegates assembled in the state capital, a person could vote for senator with the competence that only a first-hand knowledge could provide. Second, in more factious times, the legislative appointment of the Senate would make it more difficult for interests temporarily in the majority, or claiming to speak for the majority, to bring their schemes to fruition, because they had to gain the support of the representatives of the people in the House as well as of the representatives of the states in the Senate. These reasons of the framers simply cannot be reconciled with those of the reformers who wished to make the Senate a directly elected body. It is not that the founders lived in a different time, under different circumstances, and therefore could not appreciate the Progressive arguments. Those arguments were not new. 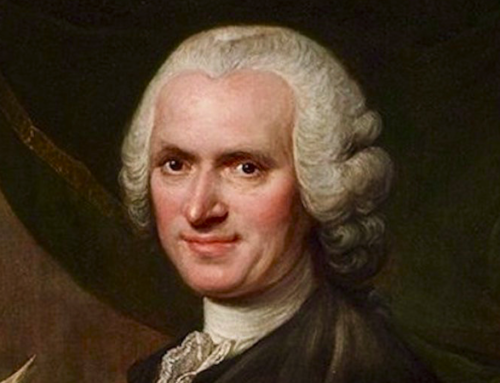 The idea that representative government, for instance, was not a way of refining local and particular interests, but rather a thwarting of the pure expression of the people’s will, had been cogently set forth by Rousseau a quarter century before the gathering of 1787. Thomas Paine’s Common Sense, a screed against the tyranny of checks and balances in general and an exhortation to persevere against the British system in particular, was the most widely read tract of the American Revolution. And the demagoguery of state governments during the Confederation period had prompted the constitutional convention in the first place. When Edmund Randolph told his fellow delegates behind closed doors that the chief purpose of their assembling was to check “the turbulence and follies of democracy,” there was no dissent. Not every Progressive mistook his own views of constitutionalism for a slightly updated version of the founding ideal. The historian Charles Beard depicted the Constitution as a document of class preservation and denounced the intricate contraption of representative checks and balances as “a foil to democratic attack.” Journalist, author and publisher William Allen White hailed the modern drift toward democracy as a beneficially “strong move away from the Constitution.” Senator Jonathan Bourne of Oregon, an advocate of direct elections and a devout believer in the inerrancy of the mass electorate, stated on the Senate floor that the Constitution was unequivocally “against the spirit of democracy,” and conceded that the founders had not entertained the idea, as did he and his Progressive colleagues, of implementing “Rousseauism, in the application of popular sovereignty, on a national scale.”  But individuals of such frankness and discernment were few. Most Progressives, like most reformers in every era, including our own, remained untroubled in their belief that they were merely picking up where the founding fathers had left off, doing their part in the millennial struggle to defeat “the interests” and enthrone the people. On closer inspection, then, the movement for a more responsive Senate appears contrary to the framers’ original intent, and the social and economic transformations of industrialized, urbanized America seem more the pretexts than the legitimate justifications for amending the Constitution. What remains to be addressed are the charges of cynical electioneering and moneyed influence in the legislative appointment of senators as justification for dirct elections. In light of election practices after the Seventeenth Amendment, it seems warranted to dismiss this consideration without further inquiry. But while a full exploration of the history of Senate elections is not within the scope of present investigation, the highlights will suffice to show that the problems which had arisen did not originate from the originally intended form of elections, but from the failure to uphold it. It was at about this time that the course of the American republics took a turn toward the shoals. In fact, in the same year that de Tocqueville was singing the praises of indirect elections, Senate incumbent George Poindexter and challenger Robert J. Walker toured the state of Mississippi in an unprecedented campaign to gain popular support for their respective candidacies in a strategy that would soon become known as “canvassing the public.” Party leaders would nominate a popular Senate candidate in advance of the elections for state legislators, then dangle the nominee before the public. The idea was that the people would elect the legislator who was in the same party as the most popular Senate candidate. In short order it was taken for granted that the people selected the Senator, and that the job of the legislator, like the job of presidential Electors since the Jacksonian Era, was simply to deliver the mandate. The practice was well established in 1841, when Governor Polk declined to convene a special session of the Tennessee legislature to fill a Senate vacancy on the grounds that in the last election of state legislators, the members “had not been chosen [by the people] with the selection of Senators in view.” And while Americans are likely never to forget the Lincoln-Douglas contest of 1858, they are almost certainly unaware that the most famous debates in the history of Senate campaigns were entirely against the spirit of original intent, reducing the Illinois legislature to a mere registering body for the popular choice of senators. The legislators became even more restricted with the advent of popular primaries. Essentially, the primary is an intra-party election held before the general election, intended to make nominations more democratic. As was true also of direct legislation, the primaries rarely drew a majority of the eligible voters, but the legislators, as a rule, were guided by the results. Otherwise they incurred the risk of losing the party’s backing in their own elections. Because party caucuses and party conventions had previously nominated senators, there is a tendency to think of the primary as originating in popular reaction against the intrigues of nominating bodies that excluded the general voter. But the primary made its earliest appearances in the Western states, usually within a few years of statehood. Often these states entered the Union with them. This left little time to have evolved a sophisticated apparatus of corruption, let alone to have generated a popular “reaction” against it. Besides, even in the older states that eventually adopted the senatorial primary, it was the legislators who initiated and passed the laws needed to put the system in effect. The state legislators had abdicated their role, or else the people had usurped it, in the election of United States senators. While the first proposal for a direct elections amendment to the Constitution was submitted in Congress as early as 1826, it did not get anywhere and was offered only sporadically until the late 1880s. But while the form of Senate elections remained, the canvass and the primary had changed the essence of those elections long before the Seventeenth Amendment. By popularizing the elections the process was made ripe for corrupting influences. The legislators were chosen less on their own merits than on the basis of whom they professed to support in the upcoming Senate elections, which gave a certain power to those who did the nominating. There was also the matter of publicizing and funding the Senate candidacy itself. Making statewide appeals to the mass electorate was inherently expensive, which no amount of campaign reform laws would ever ameliorate. And the organized interests and professional electioneers neccessary to marshal mass majorities, or even sufficient pluralities, would naturally expect some share in the spoils of victory. The intrigues, improprieties and illegalities would be difficult to measure precisely, particularly because an election that was unpopular was often portrayed as the result of underhandedness. In states where senatorial primaries succeeded only in producing a number of local mandates, the legislators were forced to compromise, and their choice was usually unpopular with any constituency that did not have its way. But it is a matter of record that the first case of bribery reported in the election of senators did not occur until 1872. From then until the ratification of the Seventeenth Amendment—a period when the independence of state legislators was losing ground to the popular primary—the number of allegations of corrupt elections rose to fifteen. Considering the extent to which the process of Senate elections had already been popularized, the reformer’s assertions that they had become more corrupt did not exactly support the case for popularizing the process even further. On the whole, most of the muckraking exposés of Senate elections turned out to be nothing more than good copy. But railing against the special interests and the status quo was a good attention-getter on the stump. There was more than a little irony in such tactics. By the time a bill to submit a direct elections amendment to the states finally got a hearing on the Senate floor, nearly two-thirds of the senators had been nominated through the process of statewide primaries. In many instances, as in the case of Wisconsin’s Robert LaFollette and Indiana’s Albert Beveridge, the candidates came to office by virtue of their shrewd organizational skills, buttressed by ruthlessly efficient command of political patronage. In other cases, they spent large sums from their personal fortunes to buy publicity; in the instance of Isaac Stephenson, LaFollette’s Wisconsin ally, it was to buy his own newspaper. Meanwhile, a comparison between the portfolios of those who voted against the direct elections resolution when it was first put to the Senate in 1911, and of those who supported it, reveals the latter to have been no less connected to the great capital interests of their states than was true of the former. In actuality, then, the struggle for direct elections was hardly a struggle between the henchmen of plutocracy and the defenders of pious labor. It was a class conflict only in the minds of the Progressives, who, as it turns out, had reached their high positions through much the same tactics and corporate alliances that they proposed to reform by changing the Constitution. Ultimately, the corruption of the Senate election process would seem to have started with the corruption of original intent as early as the Jacksonian Era. That intent, contrary to Progressive belief, was that the role of the people would be limited to choosing good legislators at the local level, and trusting the hierarchical system of representation to filter and refine popular sentiments in the appointment of senators. The eventual failure of the original method of elections was as much an indictment of the people themselves as it was of the system. Having proven incompetent in the election of honest legislators, their proposed reform consisted of transferring Senate elections from the “corrupt” few directly to the incompetent many. But, with the exception of 1787, this has been the general direction of American constitutional reform. As Walter Lippmann clearly perceived, “The American people came to believe that their Constitution was a democratic instrument, and treated it as such.”  When it failed to work as expected, it was the Constitution, not the mistaken assumptions, that had to be changed. As exemplified in the election of senators, the cure for the ills of democracy was believed to be more democracy. Parties and administrations have come and gone, but that formula has remained the prescription for American politics down to the present day. Books on the topic of this essay may be found at The Imaginative Conservative Bookstore. Republished with gracious permission of Humanitas (1996). 1. In the elections of 1896 and 1900, Bryan was the presidential candidate for the National People’s, or Populist, Party, as well as for the Democrats. The Populists demanded direct Senate elections in Bryan’s first campaign, both parties embraced the reform in his second, and the Democrats continued to call for it in the national platform of 1908, when Bryan was nominated for the third time. 2. Admittedly, in the worst case to date, when Michael Huffington disbursed $29.4 million in the election of 1994, almost all of it from his personal fortune, there was scattered criticism of the candidate’s ethics and sense of propriety, but perhaps the principal effect of this squandered wealth was the cover it gave to his victorious rival, Dianne Feinstein, whose chief claim to running a virtuous campaign was having spent “less than half” of what was spent by Huffington. “Contested Winners Seated; Challengers in Pursuit,” Congressional Quarterly Weekly, (Jan. 7, 1995): 28. The average expenditure cited above is from 1990, in which year Texas Republican Phil Gramm made the most expensive bid for a Senate seat, spending $12.5 million. Congressional Quarterly Almanac 46 (101st Congress, 2nd Session, 1990): 909-910. 3. For a particularly sobering depiction of modern Senate politics behind the scenes, see James A. Miller, Running In Place, Inside the Senate (New York: Simon and Schuster, 1986). 4. Congressional Record (101st Congress, 2nd Session): S11468. 6. Of the twenty-five senators who sought reelection immediately after the direct-elections amendment went into effect, two were defeated for their party renomination; all of the rest were elected by popular vote. Guide to U.S. Elections (Washington, D.C.: Congressional Quarterly, Inc., 1975), 451. Even Boise Penrose of Pennsylvania, one of the few senators who resembled the muckraking caricature of “The Rich Man’s Club,” won a landslide popular victory, upon which he is reported to have said, “Give me the people every time!” Leona and Robert Rienow, Of Snuff, Sin and the Senate (Chicago, Follette Publishing Co., 1965), 305. 7. Congressional Record (53rd Congress, 2nd Session): 7775; Charles J. Fox, “Popular Election of United States Senators,” Arena 27 (May 1902): 456-457. 8. In his classic study of the Confederation period, The Creation of the American Republic, 1776-1787 (originally Chapel Hill: University of North Carolina, 1969), historian Gordon Wood observes that the attacks on private property, either through out-right confiscation, cancellation of the public debts, or deliberately inflationary monetary schemes, did not result from arbitrary magistrates’ acting in defiance of the popular will, but in fact came from “laws enacted by legislatures which were probably as equally and fairly representative of the people as any legislature in history.” (New York: Norton, 1972), 404. See also Forrest McDonald, Novus Ordo Seclorum, The Intellectual Origins of the Constitution (Lawrence: University of Kansas, 1985). 9. The Federalist, no. 10: 58-59, 55. 10. James Madison, Note to the Speech of James Madison on the 7th Day of August (1787), The Debates in the Federal Convention of 1787 (Buffalo: Prometheus Books, 1987), vol. 2, 620. 11. The subject of the classical influence on the development of the federal checks and balances is treated more fully in C. H. Hoebeke, The Road to Mass Democracy: Original Intent and the Seventeenth Amendment (New Brunswick, N.J.: Transaction, 1995), as is the founders’ emphatic and articulate rejection of the simpler forms of democracy espoused by Rousseau and Paine. See also McDonald, 209-215; and Gilbert Chinard, “Polybius and the American Constitution,” Journal of the History of Ideas, 1 (1940): 38-58. 12. The Federalist, no. 10: 57-58. 13. The judiciary was not at that time considered a political branch, but caution was taken to make the manner of its appointment distinct from that of the others and to preserve its independence through life tenure for its members. 14. The Federalist, no. 51: 336-337; no. 73: 478. 15. See particularly the warnings of national “encroachments” on the states by George Mason, who became a leading opponent of the Constitution during the Virginia ratification debates, in Madison, Notes, vol. 1, 74. 16. The Federalist, no. 64: 417. 17. Ibid., no. 10: 58; no. 63: 410. 18. Ibid., no. 58: 382. 19. “Any law which the people has not ratified in person is void; it is not law at all.” Jean Jacques Rousseau, The Social Contract, trans. Maurice Cranston (New York: Penguin, 1968), 141. 20. Madison, Notes, vol. 1, 34. 21. Charles Beard, An Economic Interpretation of the Constitution of the United States, 2nd ed. (New York: Macmillan, 1935), 161; William Allen White, The Old Order Changeth (New York: Macmillan, 1910), 34.; Congressional Record (61st Congress, 3rd Session): 2494-2495. 22. Alexis de Tocqueville, Democracy in America, trans. and ed. Henry Reeve (New York: Vintage, 1945), vol. 1, 211-212. 23. William H. Riker, The Development of American Federalism (Boston: Kluwer Academic, 1987), 148-149. 26. The obscurity referred to resulted from the egalitarian distrust of representative institutions, of which the subversion of the legislators’ role in Senate elections was but one manifestation. Other manifestations include the increasing use of the initiative and the referendum to make laws without regard to the will of the legislatures, and the mushrooming details of state constitutions, which, as Herbert Croly observed,”gradually hemmed [legislatures] in with so many restrictions . . . [that] they offered no opportunity for a man of ability and public spirit.” The Promise of American Life (New York: Bobbs-Merrill Company, Inc., 1965), 321. 27. Ford quoted in Charles Edward Merriam, Primary Elections: A Study of the History and Tendencies of Primary Legislation (Chicago: University of Chicago Press, 1908), 129. 28. George H. Haynes, The Senate of the United States: Its History and Practice (Boston: Houghton Mifflin, 1938), vol. 1, 127-129. 30. Congressional Record (62nd Congress, 1st Session): 1743. 31. Walter Lippmann, Public Opinion (New York: Free Press, 1922), 179. C. H. Hoebeke is a librarian at the University of Virginia and Fellow in Constitutional History at the Center for Constitutional Studies. He is the author of The Road to Mass Democracy: Original Intent and the Seventeenth Amendment. Something, indeed, to remember from the debates that led to the Constitution. Let me add just two items to this fine essay. First, John Adams was not at all reticent to say that since we have known for all time that power follows wealth, it is a good and stabilizing thing to have an important branch of government in the control of men who were already successful, esteemed, and most likely wealthy as a result of their standing in the state legislatures. What did we get from eliminating the “millionaires’ club” in 1913? The Lobby industry, a greater perversity of republicanism than even the parties the founders so abhorred. Second, John Dickinson made the eloquent argument that, in the absence of the great landed noble families and estates of England, which provided the stability that shielded England from true revolution, the states themselves would take their place, and controlling the Senate, would ensure the states their due measure of protection while in turn protecting limited government. Of our not too numerous amendments, the 14th and the 17th are certainly the most perverse.